23 books in the month of January. Pretty proud of that number. Don't know if I can keep up the pace, but I am going to try. So many books out there waiting to be read. The novel opens with people lined up for a job fair. Eight innocent bystanders are killed when a Mercedes plows through the crowd. 15 people are injured. The killer gets away with the crime. Bill Hodges was the cop on the case, but has recently retired. Now he fills his days with afternoon TV and dinners for one. He doesn't feel like he has much to live for until the Mercedes killer reaches out to him and baits him. Hodges decides he isn't done with this case, and as a private citizen starts to investigate. Hodges knows this killer will strike again if he isn't stopped, so he wants to catch the guy before that happens. 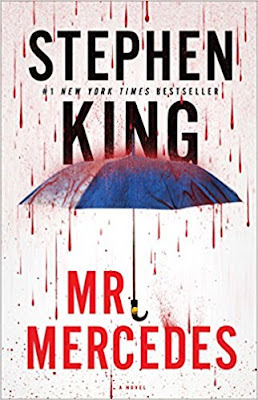 Typical to my buddy Stephen King - this was a good book. I have read almost all of King's writings, and I would say 90% of the time I enjoy what he writes. We know who the killer is right from the beginning - even thought Hodges does not - but that does not take away from the story. The book is about the chase to see who is going to come out ahead - the ex-cop or the killer. This is a trilogy, so I think I will read the next two books. I am anxious to see where the story goes. (yes - this book ends on a bit of a cliffhanger). This is an autobiography of Martin's life. Martin was a normal, healthy boy until the age of 12. 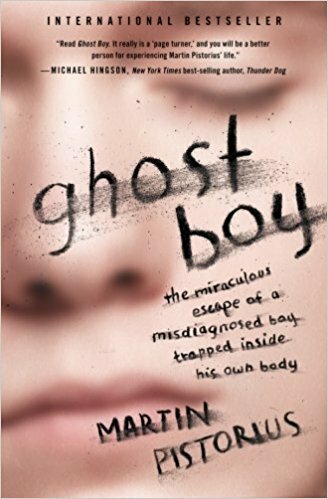 Martin started to lose the ability to speak, walk, eat on his own, and see. Doctors from all over the world ran every test, but a diagnosis was never found. After spending years in the dark, Martin starts to wake up. He still cannot speak and cannot defend himself, but he is aware of his surroundings. Finally in 2001, 13 years after he fell ill, he finally learns to communicate with the help of a computer. He can start to tell what he wants and what he needs. He even finds love and gets married. His life completely changes thanks to the help of a computer that gives him a voice. This was a pretty good book. I shuddered at some of the day care center horror stories he shared. Things that happened to him when he was aware but unable to defend himself were horrifying. But he finished high school, went to college, got a job, and found love. I looked him up and he is still married and living a full life - even though his voice never returned. I love true stories and especially ones with happy endings. 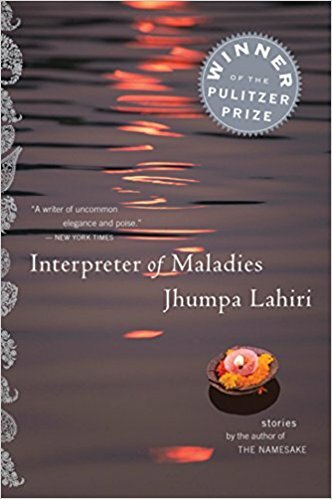 It is hard to be critical of a book by a person who has been through so much. He definitely isn't a writer, and his story where he found love is a bit too drawn out. But all in all - good read. 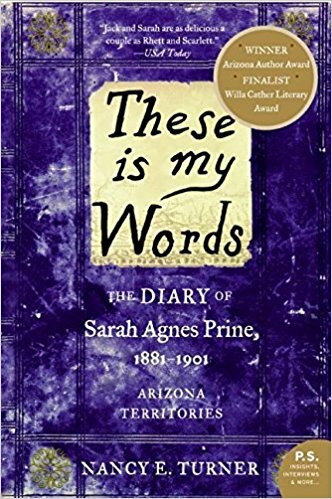 This is a historical fiction piece about Sarah who traveled to the west in the late 1880s. She is a teenager at the beginning of the story - traveling with her family to find a new home. The story is written as her journal - keeping track of her journey as she becomes a young woman, gets married, has children, and settles into her new life in Arizona. The story is full of hope and tragedy as it details 20 years of Sarah's life. This was a pretty good book. It is easy to tell it is historical fiction because it writes more like a story than an actual journal. Unlike most women, though, that crossed the country in search of a new life, Sarah is tough, knows how to shoot a gun, and does almost all the chores - both those for male and female - on her new ranch in Arizona. Although many tragedies happen to her along the way that might cause her to lose faith, she pushes on to make a good life for her family. I suggest giving this book a try. Knowing it is fiction and not a true journal of a woman of this time period, goes a long way in making the story enjoyable. Bernadette Fox - a McArthur award winning architect has moved with her family to Seattle. They own an old girl's school that they always planned to fix up, but never got around to it. Bernadette is an introvert genius who doesn't like to be around people. Most of all, she despises the mothers (she calls gnats) at her 15 year old daughter's private school. Her husband is a Microsoft big wig and the complete opposite of Bernadette. Their daughter gets into a prestigious boarding school, and as a present, she asks her parents to take her to Antarctica. They agree, but as the trip nears, Bernadette starts to panic about being on a boat with people she doesn't know. She enlists the help of an online assistant to help her book the trip and do errands for her. 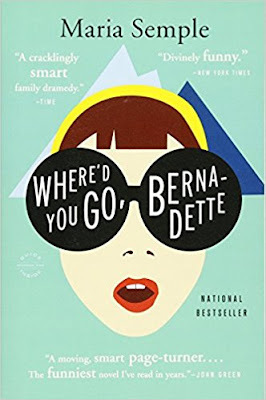 Then one day, Bernadette disappears without a trace. It is right before the family was supposed to go to Antarctica. Her daughter, Bee, begins to try and piece together where her mother went, and figure out who her mother was. This was a good, but strange book. All the characters are a bit strange, and some very unlikable. (although they are supposed to be unlikable). Bernadette - the strangest of all - is a big of a rambler, and it is hard to follow the dialogue sometimes. The book is a series of emails, letters, and correspondence among the characters, which is a unique set up. It is a bit of comic satire, and I did chuckle at some of the dialogue. The ending is a bit long and drawn out with a letter from Bernadette to her daughter. I think I can recommend this book. It is eccentric and you might find yourself shaking your head at the characters, but it is entertaining enough not to miss. I have broken my record for most books read in a month. I know - you are thrilled. This is the story of two women. Clara - a nurse in 1911 who is caring for immigrants coming to Ellis Island. She has escaped to the island after a fire has killed the man she loved. The fire -where she witnessed 140 people die - haunts her, and she feels like she cannot return to the main land. She grieves for the loss of the man she cared for as well as the life she had. Taryn is a quilt shop owner in 2011. She also has dealt with loss. Her husband was killed in the World Trade Center on 9/11. She never got to tell her husband he was going to be a father. She was heading to meet him that day when the towers fell. One thing binds the two women - a scarf with Marigolds. Clara saw it first on a patient she cared for when he came to her ward. It story unfolding as she spent time with him. Taryn - who was given the scarf by a client. The client wanted Taryn to try and find fabric to match it so that the client could have a scarf made for her sister. Taryn has the scarf with her the day the towers were hit. 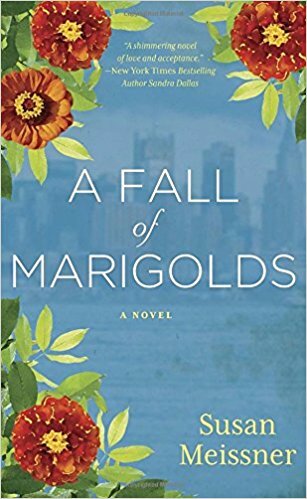 For 10 years, Taryn has looked for the Marigold fabic - always morning the loss of the scarf along with the loss of her husband. The scarf appears in a magizine article on the 10th anniversary of 9/11. This sends Taryn searching again for a link to her husband and her past. And in the end, she also is linked with Clara. Both women must come to terms with the loss of love and learn the ability to move forward and heal. This was a FANTASTIC book. I loved every sentence. The way the women's stories intertwined, and how the scarf became a way for them to move on. How circumstance plays a part in all of our lives and that things that happen to us help shape us who we are. Clara and Taryn come to terms with the death of their loved ones. They form connections through their grief, and with the scarf, that lead them to heal. This is a definite read. You will love every minute. This is what mental illness looks like. Sixteen year old Aza is trying to be a good person, but she is stick in her mind. She is convinced that she is going to get sick (especially from C Diff). She has a cut on her finger that she will not let heal - sure it will be infected, and she cannot stop spiraling and convince herself it isn't. She lives constantly in fear of germs. In this story, a billionare goes missing. His son, Davis, is a childhood friend of hers, and she decides to look him up to see what the story of his dad's disappearance might be. There is a $100,000 reward for anyone with information in finding his dad. Aza never intended to get involved, but when she sees Davis, she can't stop herself. She starts to fall for him, but is so tortured with her own thoughts, that she struggles to have a relationship with him. Instead, she helps Davis and his brother find what happened to their dad and with that - come to terms with her own demons. I have read all of John Green's books. And I have to say - I find them hit or miss. Some of them are fantastic, and others are....fine. This one was fine. I loved many parts of it. Seeing into the mind of a truly mentally ill person is fascinating. (is that the right word?) I found myself gripping the book as Aza spiraled out of control with her thoughts, wanting to shake her and tell her to "get a grip". But she can't. She can't help it. She would give anything to not have these irrational fears and thoughts, but she cannot stop them. And no matter what it looks like to us in the outside world, to her it is very real. The "eh" part for me was, well....mostly the rest. Her best friend is a bit of a jerk. Her mom seems to only parent about 50% of the time (letting her daughter stay out until 11pm on school nights without much care, even though her mom is a teacher). 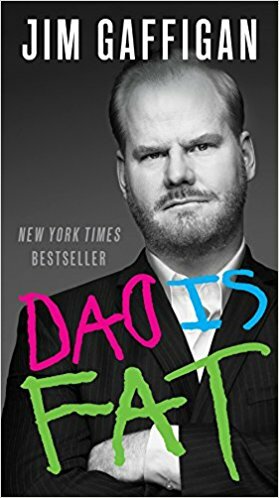 There isn't much background to Davis' father - we never really hear the whole story, but I guess to be fair - that is a very minor part of the book. The book felt a little jumbled and scattered, but maybe that was the style he was going for. I read the book in one day. It is a quick read with not a lot of dialogue. It is definitely geared toward the YA crowd, and I know for a fact my 14 year old daughter would love this book. Hard to say, hard to say. 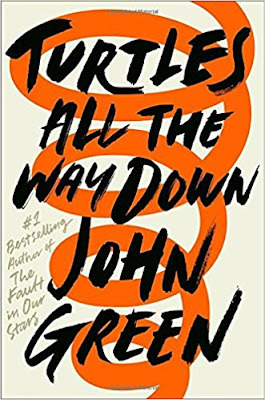 If you like John Green - give it a go. I think it has enough value - especially in the world of mental illness - to not be passed up. This is a collection of short stories. 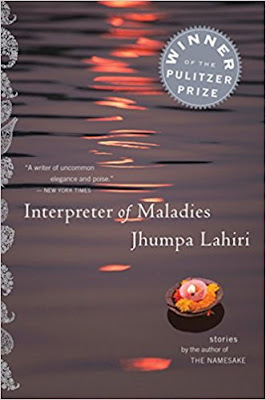 Each story is about an Indian family that has to balance traditions with the modern world. There is a story of a couple who struggles in the wake of a stillborn child. Another about a woman who is having an affair with a married man. An interpreter who works for a doctor but also drives tourist around India. Another about a young woman with seizures that no one can find a husband for (yet this is all she wants). A family who watches the war in India and Pakistan on TV - worrying about their families still in those countries. And many more. This was a pretty good book. Most of the stories are short and entertaining. They are well written, even though some of the stories end abruptly and go no where. 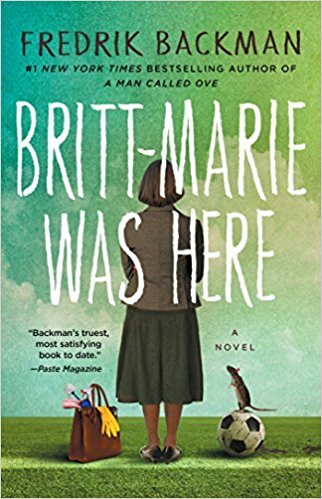 I didn't like it as well as her other books, but I am glad I read it. It only took a few hours to read. I would recommend it. If you like her other books, you may enjoy this one. Katie Brenner is working hard to re-invent herself. She has moved from the country in England to London. She changed her name to Cat and moved into a tiny apartment. She spends time instagraming restaurants and places in London she can't really afford to eat. Her family and friends have no idea how much she really is struggling to become the person she thinks she wants to be. She works for a branding company, with a high powered boss who seems to have everything Katie wants. Just as Katie is starting to get on her feet, she is fired. With no job, she is forced to move home with her dad and stepmother. While she is there, she helps them start up a business. After three months, her previous boss shows up at the camp. Her boss realizes who Katie is and secrets are revealed. Katie now has to make a decision about who is truly is. True to Kinsella - this was a sweet book. The story is funny, and light. The character, Katie, has some depth and she is smart and ambitious. 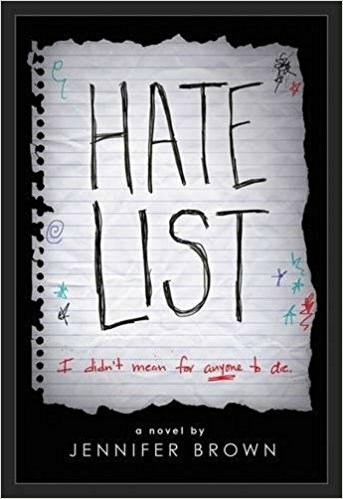 All the main characters in this book are very likable, so that made me not want to put the book down. The ending went a direction I was hoping it would take, but that I actually wasn't sure it would. 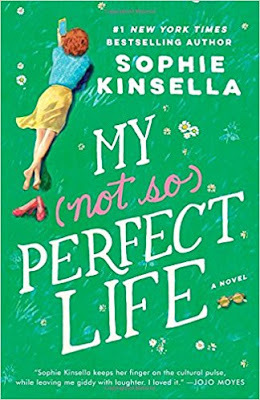 I think Kinsella tackles a lot of important issues - women in the workplace, relationships with step parents, young women trying to make something of themselves on very little money. I highly recommend the book. Even though it is 400 pages, it is a quick and light read, and I promise you will enjoy ever page. This is the story a true story of a family. A young couple who were expecting their first baby. Shortly after their baby, Katherine's, birth, the couple is told that the baby has a very serious heart defect called Ebstein's Anomaly. 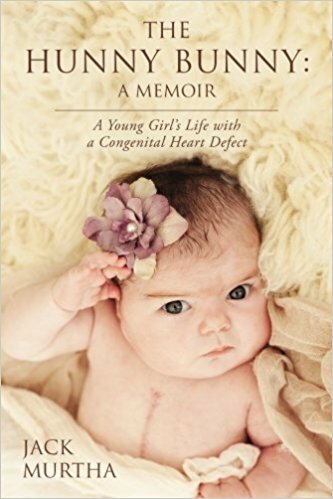 Most children who are born with this have to have many heart surgeries over the course of their life, and many do not survive. Over the next 10 months, Jack walks us through what it is like to have a very sick baby. Katie - as she soon becomes- only ever gets to spend a very short few weeks at home, but the rest of her short life is spent in the hospital. Jack tells the tale of what it is like to be a parent who wants to fix everything, make enough money so they can afford Katie's care, and be there for his wife. He brings to light what it is like for these parents day in and day out in a hospital room. I grew up in Connellsville with Jack. Our paths crossed as children in religious classes, so it was nice to see Connellsville mentioned a few times in this book. When a relative of his recommended this book, I was thrilled to read it. I am so glad I did because it was a great book. You don't often get to hear a heart wrenching story from a parent's perspective. It gave you a good insight on how these parents feel. Full disclosure - I have been a pediatric nurse for 20 years. A few things he said about nurses did sting, but then I realized - like every profession there are people who shouldn't be in that profession. There are bad nurses just like there are bad doctors, and bad lawyers, and bad teachers. When a family is hurting, they take it out on the nurse. If the nurse cannot react with compassion and understanding to that, and know it isn't personal, then she shouldn't be there. When a parents is dealing with a terminally ill child and is working out of his league, and is tired and helpless - that is not the time to take a stand. Down off the soap box. Grab this book and read it. And make sure you have kleenex handy. Starting to slow down. Life has started to go back to normal - so the time for reading has been less. This week has been busier than most, lately, but with all good things. I don't mind forfeiting reading to spend time with friends and do some hiking. This story is told by a woman named Helena who has died from cancer. She keeps an eye on her grieving husband and his now responsibility to care for all of her animals. He is more than reluctant to care for their 3 dogs, several cats, pig, and two horses, but he does it for Helena. He finally hires help so that he can return to his life as an attorney. Enter a long ago colleague of Helena's named Jaycee. She has been working with a chimp named Cindy, and has proven that Cindy can communicate on a 4 year old level. Her research partners, though, don't agree because Cindy won't talk to anyone but Jaycee. They want to shut down the program and put Cindy into an animal testing facility that would subject her to harm. Helena's husband agrees to take Jaycee's case to help save Cindy. He does it for his late wife and help deal with his grief. I wanted to like this book - I really did. I am an animal lover, and anything with a dog on the cover attracts my attention. But this book just wasn't entertaining. I didn't ever really like any of the characters. Some of the science just didn't seem to be correct. There was a little boy with Autism that seemed to have magical powers (which his mom would call "episodes"). The second half of the book is a long drawn out trail around saving Cindy, and it just droned on and on. It wasn't that interesting, and I struggled to finish it. I won't be recommending this book. It wasn't TERRIBLE, but it wasn't good either. This story begins at the home of struggling artist - Claire Roth. She cannot afford an apartment and an art studio, so she lives in her studio. She is extremely talented, but an incident with an ex-boyfriend three years ago has left her black marked in the art world. So she makes her living doing reproductions of paintings - mostly Degas. She is certified as a Degas expert. One day, the owner of a prestigious gallery approaches her with an offer. It isn't one she really can refuse - or wants to - because it ends with her getting her own show in the gallery if the deal is pulled off. But the offer is risky, and due to her past, she is worried that if caught - it could further hurt her career. 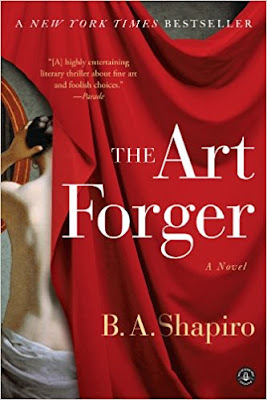 She accepts the offer, and in the process, she discovers the past of Degas and the missing paintings from the Elizabeth Stewart Gardner Museum in Boston. It leads Claire down a dangerous path that could land her in jail. She is torn between doing the right thing, and the thing she wants most. This was a GREAT book. I have said that a lot lately, and I am glad! Sometimes I get into a slump with one so/so book after another, but so far - it has been a pretty good reading start to the year. Anyway - another well written book. I moved to Switzerland from Boston, and I am familiar with the Elizabeth Stewart Gardner Museum. I lived there for 6 years and I never knew that there was an art heist with that museum in 1990 where 500 million dollars worth of art was stolen. And it still hasn't been recovered. (There is a 10 million dollar reward for anyone who returns the art). This was a big part of the story, and I liked how the author used the truth. 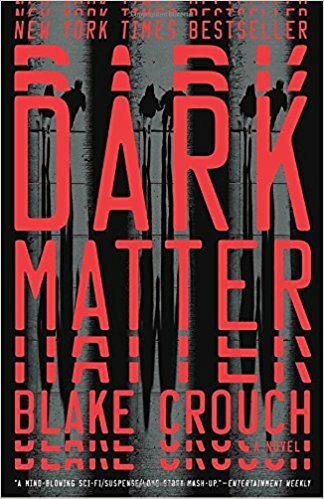 I couldn't stop reading - had to get to the end to find out what would happen to Claire and the missing art, and I know you will feel the same. Well, my German test is over, and I am on to the next level. Being an adult learning a very difficult language has been a treat and a pain all at once. Some folks have asked how I am reading so fast. Well....I live in Basel, Switzerland. This area of Switzerland speaks German. And all the TV and newspapers are in German. And while I am learning the language, I am far from being able to understand it in those context. So.....books it is. This story covers 30+ years of the life of Gogol Ganguli. He is born in Boston, Massachusetts. His parents had moved here shortly before he was born from Calcutta India. His parents were an arranged marriage, and Gogol's life will be steeped in Indian tradition. Gogol's name was only supposed to be his pet name - his parents were waiting for a letter from his great-grandmother that would contain his formal name. But the name never arrives, and the hospital won't let the parents leave without naming the baby. So he is named after his dad's favorite author - Nikolai Gogol. They go home and hope that the letter will soon arrive, but it never does. Gogol goes through his entire childhood with this name. Once he is an adult, he decides to change his name to Nikhil - never liking Gogol. With this new name, he attends Yale, goes to graduate school, becomes an archetict, and gets married. By his family he is still known as Gogol, but to the rest of the world - Nikhil. Several tragedies happen over the story, and Gogol/Nikhil comes to understand why his father named him what he did. 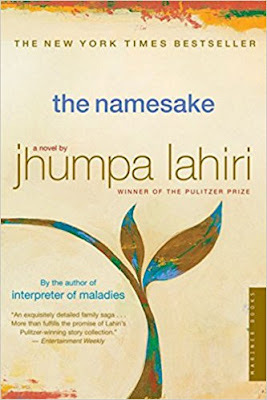 As a first generation American who spent years running from Indian traditions, it takes these life tragedies for him to realize what a name means. This was a really great book. The writing is superb, and easy to read. The characters likable. You keep rooting for Gogol to get what he deserves. I really did think that somewhere along the line that letter from his great-grandmother would materialize and we would find out what his true name was going to be. I won't lie - that eats at me. I know it wasn't important to the story - that he was always supposed to be Gogol...but still. The unknown has always driven me crazy. It isn't a quick read, per say. You would LIKE it to be. But it is very wordy - lots of detail more than dialogue, so the pages are heavy with information. Sometimes I wanted to skim to get on to the next point, but I quickly found that details you would want to learn were in those thick paragraphs, so I remained patient. This book opens with a couple Elizabeth and David - celebrating their 13th anniversary together as a couple. They have been together since they were little kids, so this 20 something couple is still newly married. Each year they celebrate by going to a cabin in the woods, and putting another notch in a tree with their anniversary number. But this year, something goes horribly wrong. Elizabeth is kidnapped, and David is knocked unconscious. When he wakes up in the hospital, he is told his wife has been found, dead, and that he is a suspect. But soon, he is cleared and a serial killer is blamed. Eight years pass, and David is still mourning Elizabeth's death. David is now Dr. David Beck - a pediatrician in a rough area. 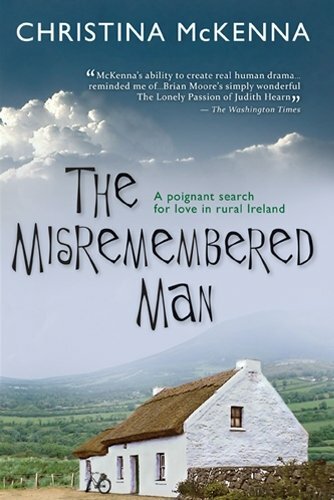 One night, he gets a mysterious email from someone who looks a lot like his wife. Thus begins the race to find out to the truth. This was a GREAT book. I would have liked to finish it all in one sitting, but those darn kids of mine kept wanting fed and entertained. There are a lot of characters, plot twists you don't see coming, and even the ending will surprise you. It is well written, and not complicated to follow even though there are several angles to the same story. I really enjoyed it and kept rooting for a win for David and Elizabeth through the whole book. The only thing I would say would be a negative about it is - how easily David forgives his wife when he finds out the truth. I don't want to say too much in fear of giving it away, but when you read it, you will probably understand what I mean. Or not....if you don't agree. Check out this book. Even though it is 400 pages, it reads quickly, and you will not want to put it down. We are back to the grind here in Basel Switzerland. Kids went back to school today after a nice 2 week holiday break. I do fear that chores, grocery shopping, and getting kids to and from school is going to slow my reading down, but we shall see. This is the story of a man named Jason. He is a professor at a second rate college. He has a wife, Daniela, and a teenage son, Charlie. They live happily in Chicago. One night, Jason goes out to get some groceries, and he is attacked. When he wakes up, he is told he has been missing for 14 months. He doesn't recognize any of the people around him. They tell him he is a world renowned scientist who has discovered - basically - the quantum leap. He doesn't believe them, and tries to escape. He tries to make his way home, but when he gets there he finds that he is no longer married, and no longer has a son. He sets off to figure out what has happened to him, and how to get back to his wife and child. This was a great book. I am a Blake Crouch fan - I read his Wayward Pines series - and this book did not disappoint. It is well written, smart, and entertaining. I didn't want to put it down, and last night I stayed up until 1:30am until I made myself quit reading. It is full of action and plot twists that you don't see coming. I did find myself gripping the book hard while I read thinking there was no way the character was going to get out of his particular situation. The ending is a bit of a cliff hanger. Some people would not like that, but me - I hope it means it will lead to a second installation. We shall see. Read the book. You won't be disappointed. And then if the movie comes out like planned, we might get to see the characters comes to life. Two reviews in one day! I think that is a new record for me. This book was really short, so I read it this afternoon while my kids watched terrible cartoons on TV. The main character - Lucy Barton - is in the hospital recovering from a minor surgery. She has had some complications, so instead of being there for 1 week, she ends up being there for nine. It is the 1980s, and she has two small children at home and a husband. Her husband is so busy that he calls Lucy's mother to come and stay with her for a few days while she is in the hospital. He feels Lucy needs her company. Lucy hasn't seen or spoken to her mother in many years, but her mother does agree to come. They talk about Lucy's childhood hometown and the people who lived there. Lucy had a very rough and poor upbringing, and doesn't have fond memories of her childhood. But she hopes this visit with her mom reconnects them. After 5 days of being with Lucy, her mom announces that she needs to go home and leaves. Lucy doesn't see her again for years, and at that time, it is only to say goodbye. 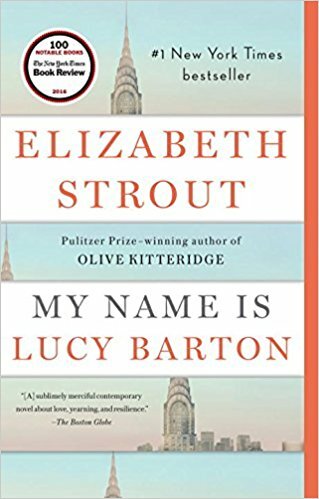 I had forgotten who Elizabeth Strout was, and I should have looked her up and then skipped this book. I am sure I am in the minority, but I did not like her last book - Olive Kitteridge. It wasn't that it was a terrible book - but it was confusing and hard to read. So no surprise - this book was the same. IT really went....nowhere. It jumped all over the place. We never really found out WHY Lucy didn't speak to her parents for all those years. Apparently a big "Thing" happened when she was a child, but Lucy never says what. I had a hard time staying focused on the book and kept saying "what?" and "where is this going?". Eh - skip it. 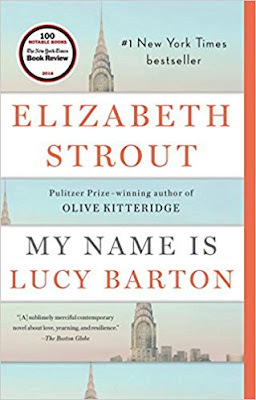 Unless you are a big Elizabeth Strout fan. Maybe you will find something in this novel that I didn't. Today is the last day of the kid's Christmas break. Here in Switzerland, the kids have a full two weeks off from school. We had a nice break - went to London for the new year, and did a lot of relaxing and sleeping in. Tomorrow it is back to the grind. This is a story of a school shooting. Valerie - a high school junior - is walking into her school on a typical May day with her boyfriend Nick. She is upset because a bully has just broken her phone on the bus, and she and Nick are on their way to confront her. What Valerie doesn't know is that Nick has brought a gun to school that day, and plans on taking the lives of several students he felt have "wronged" him over the years. In the process of the confusion, Valerie is shot before Nick turns the gun on himself. What the story becomes is what happens to Valerie - who survives - returns to life after the shooting. Many people believe she was involved because of Nick. Her parents don't trust her alone. They don't want her to return to school, but she insists she is ready. She needs to prove that she is innocent. This was an okay book. I actually read the first 250 pages quickly. But then the author seemed to give up. The story just started to fall apart. Things started to resolve pretty quickly without much detail. The father was too evil. The mother too unrealistic. In the end I felt that people forgave too quickly without any details on WHY they decided to. I don't recommend this book. Only because I feel like it could have been told better. I know the moment when I realized this book wasn't going to be as good as it was when I first started reading it, so that was disappointing. 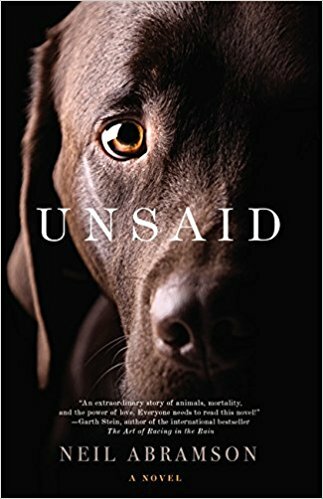 In an age where school shootings are a common occurrence, the author lost the chance to tell a story from a different perspective. Jim writes this book from his perspective as a parent raising 5 kids. He is a comedian who lives in New York City with his wife, Jeannie, and their children. 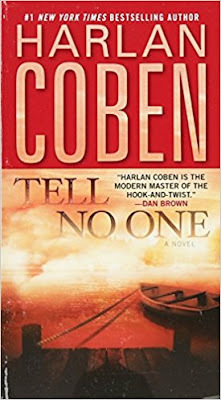 At the time this book was written (2013), they were living in a small 2 bedroom apartment in Manhattan. He writes extensively on many subjects raising a large family - from birth to birthday parties, to eating, sleeping, and napping. He talks about his mistakes and victories of being a dad. This was a hilarious book. Jim Gaffigan is one of my favorite comedians. He stand up is always about his kids or food. And he is a very clean comedian - meaning he doesn't need swearing to be funny. He has a sarcastic, dry humor that I love. I cannot imagine raising 5 kids in the city let alone in a 2 bedroom apartment. I don't think he can imagine it either because it is a large part of what he talks about in the book. At the time of the writing, his youngest child was a few weeks old, and his oldest was 8. It must have been chaos. Try this book out - you won't be disappointed. Rolling right along. Thanks to my hometown library in MA, the Boston Public Library, and Kindle Unlimited, I can survive being in a German speaking country. The public libraries here are large and wonderful.....just not for the English speaking crowd. This is the story of a man named Edward. He has high functioning autism and obsessive compulsive disorder. He is able to live on his own, but his parents support him financially. It is hard for him to keep a job due to his high need for order and repetition. He loves to collect data on the weather, eat the same things week after week, and watch Dragnet at 10pm every night. This keeps his world calm and orderly. Then a small boy and his mother move next door and change everything. The little boy comes over one day to help him paint the garage, and Edward is immediately taken with him. The little boys mother is kind, but wary of strange men - she has just gotten out of an abusive relationship. Edward doesn't know what to make of people who want to be his friend - he has never had that before. 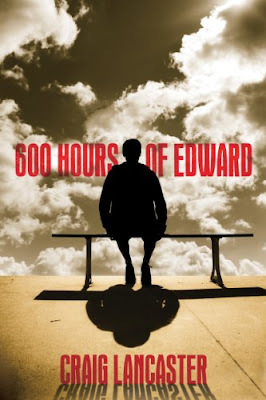 When a tragedy occurs, Edward has to break out of his routine and realizes that it is okay. Sometimes change can be hard, but necessary. This was a really good book. Edward was a very likable character. He is sweet and caring in spite of his rigid routine. His strained relationship with his father is the one thing in his life he cannot seem to control. His therapist has encouraged him to write "letters of complaint" and file them away instead of mailing them in order to deal with things he cannot control. This helps, but he still wishes he and his father were closer. It is a fast and easy read, and I promise you will enjoy getting to know Edward as much as I did. Check out this book. This book was so fast to read that I read it on one tram ride this morning. 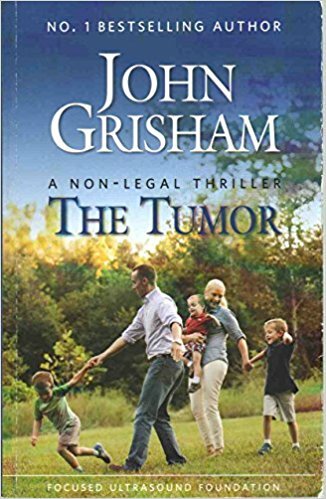 The story is about a man with brain cancer. It goes through his actual treatment, diagnosis, and eventual death from the tumor as treatment stands in 2015. The story then talks about what his treatment and prognosis might have been had he been diagnosed in 2025 instead using ultrasound therapy to remove the tumor and treat the patient. Instead of living 8 months in pain and agony, the patient could have lived 10 years or more - seen his children grow up. The results are the same - glioblastomas are still not a survivable cancer, but his life would have been longer and a better quality. This was such a fast book. Not much to think about it, really, since there wasn't much content. The story about Peter - the patient with the glioblastoma - was good....and very sad. And the idea that a new technology could prolong a person's life from 1 year to 10 is an astronomical feat. To know we are on the verge of such science is encouraging. I would not buy this book because it is so short. But right now you can read it for free on your Kindle through Amazon. So check it out. This is the story of a small town who loved hockey above everything else. Win is the only motto. They turn out players who go on to be professional hockey players. One such player has returned to be the GM of Bear Town Hockey. A family tragedy has sent him and his young family from the NHL team in Canada back to Bear Town. His wife, who has never understood what all the fuss is about, is a lawyer. His teenage daugher would rather play a guitar than pick up a stick. And his young son has big dreams to be a star like his dad. The story focuses on several boys on the Junior team and their quest to win the National Hockey Championship for high school kids. The team works like a family and they stick together no matter what. So when one of their own is accused of a horrible crime, the team has to decide whose side they are on. I have mixed feelings about this book. This is my 4th book by this author. This one was great in its own way, but it also seemed to have a lot of unnecessary dialogue that could have been left out. A did a few eye rolls at the over "mushiness" of some of the sections - it just didn't fit the story. However - this small annoyance did not take away from the overall story. I recommend reading it, knowing that you may find it a bit....much sometimes. Here we are. Another year. Another attempt at 75 books. This year, like I said, I am going to just read. I have picked books, and have received a lot of suggestions from friends and family. I am excited to get started on a fresh list of books and see how far I get. So - book #1 is under wraps. I had it read in an hour, so it was a good one to start with. This is the story of an elderly man who is struggling to hold onto his memories and his grandson's struggle to say goodbye. Grandpa has the onset of Alzheimer's disease. He takes his grandson to their favorite place to talk about how he needs to say goodbye because soon he won't be able to remember their times together. The grandson is a bit too young to understand everything that is happening. 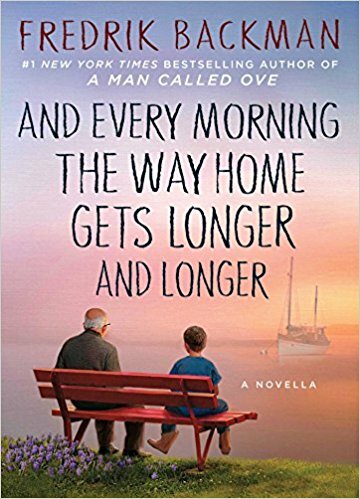 The story flips through the younger years of the grandpa and what he was like as a child, what he was like as a father, and now as a grandfather. He remembers his times when his wife was alive, and thinks he sees her now. He tells her that he is afraid of losing himself, and she lets him know it is okay to let go. This was a great novella. It is under 100 pages, so very quick to read. I watched my own grandfather slip into dementia at the end of his life, and forget everyone he knows. It is hard to watch as a family member. I liked how the grandfather chose to handle it with his young grandson - asking him to say goodbye now when his grandfather is still the person he remembers. He doesn't want his grandson to see what he will become. 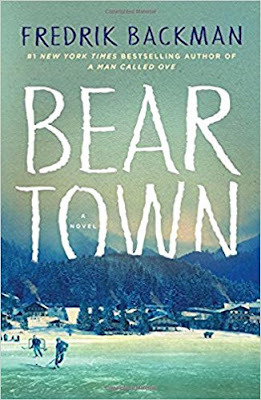 Fredrik Backman is an amazing writer. A Man Called Ove was probably my favorite book I read last year. So a lot of Backman's books are on my list for this year! I am looking forward to reading them all. This year I am going to do things a little differently. I am going to just try to read 75 books - no categories assigned. My ORIGINAL plan this year was to start to read a book from an author of every country, but now that we are in Switzerland, it is very hard for me to get books in English. So - since I don't have a good library to borrow from, I am just going to pick books I can read on my Kindle or possibly borrow from our small English library here. Category challenges will have to wait until we move back to the US. I put a request out on my facebook page and the Ladies Library page I follow for ideas. I have some avid reader friends, and they did not disappoint. A large part of my list here are from their suggestions and recommendations. It is going to be fun to read this year. I did put 75 books on the list again, so we will see if I can reach it. I am still going to be abroad this year, and we have a lot of trips planned, BUT - I need to fit in more books. Take them along more often on my explores. So - here is the list as it stands today. It may ebb and flow a bit as the year goes along depending on what I can TRULY borrow (I have done some research and it looks like I can borrow about 95% of this list) and what I can get when we return for a visit to the USA this summer. I linked the books to their Amazon page, so if you are interested in reading about any of them - just click the title and it will take you to the description page on Amazon.